According to the American Veterinary Medical Association, cats are the second most common pet in American households, coming in slightly behind dogs. Your friendly local vets at East Valley Animal Hospital, serving Mesa AZ, are passionate about taking good care of your cats during their stay with us. 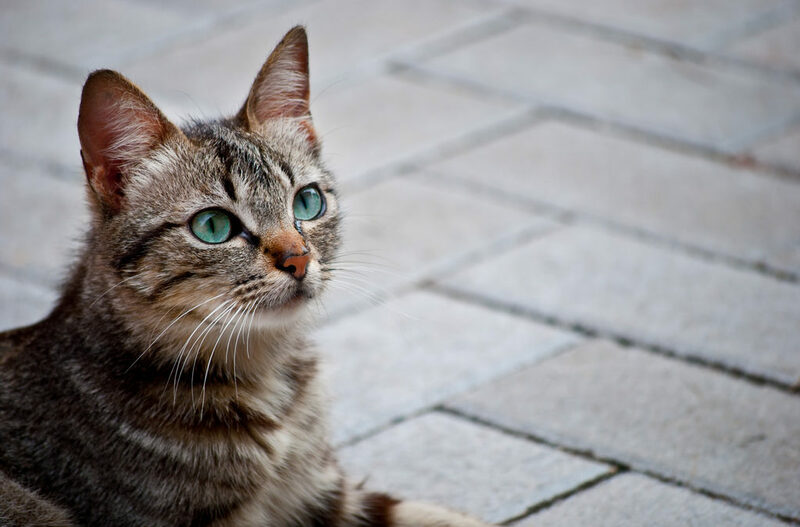 Many of our compassionate staff members own cats, which led us to ask, “When and where did the domestic cat first come onto the scene?” Take a quick stab at the answers and see if you’re right after reading this post. While cats are a popular pet, Americans certainly weren’t the first to domesticate them. But solving the riddle of just how long the domestic cat has been around and what culture or people group decided to make it a pet: these answers aren’t quite so clear. Scientists have been searching for the origins of the ancient house cat for years. They stumbled upon a potential answer in 1983 when an 8,000-year-old fossil of a cat’s jaw bone was discovered on the island of Cyprus. They knew cats were not indigenous to Cyprus. And since Cyprus is an island and cats aren’t exactly the seafaring type, the assumption was that the fossil belonged to a domesticated cat brought to the island by its owner. Since the skeleton of a domesticated cat and a wild cat are strikingly similar, until this scientific discovery, it had been difficult to determine whether cat skeletons belonged to feral or tame felines. Here’s the first part in our quest for an answer: the domestic cat is at least 8,000 years old. Another discovery was made in 2001 at an even older site on the island of Cyprus. A cat had been buried with its owner, which almost certainly answered the question of whether it was wild or domestic. This finding pushed back the existence of the domestic cat another 1,500 years! Depending on how you look at it, we’re getting further away from our answer (at least when it comes to centuries). Let’s press the pause button on the question of where and answer a different question that may be rolling around in your brain: why were cats domesticated? Understanding this answer may also solve the mystery of when they were domesticated. There has been a hypothesis for quite some time that humans tamed cats when they became an agricultural society 12,000 years ago. When we began to grow ancient versions of wheat, and rice, and other grains, we realized cats kept rodents away from the crops. This is also one of the reasons today’s farms almost always employ a few feline overseers in the job of pest population control. Over time, wild cats were attracted to these grain growing communities because of the plethora of food supply, aka rodents, and they became domesticated by default. Several years ago, the hypothesis was substantiated by a team of archaeologists who found cat bones dating back 5,300 years in a Chinese village that had successfully grown millet. Through scientific study and deeper research, they discovered these cats had fed on rodents that fed on grain. So, now that we know the why and when, we’ll go back to the where. Another study published in the research journal Science offers an answer to where domestic cats originated. Based on the genetic study of cat fossils in China, scientists identified these early cats as coming from the Middle Eastern wildcat, Felis sylvestris. Who knows, perhaps this is where the popular 1940s cartoon character Sylvester the Cat got his name. It’s long been known that cats were great friends to the Ancient Egyptian people. But knowing the Felis Sylvestris was native to the Fertile Crescent region in the Middle East, and tying the genetic origins of the cat fossil in China to that species, has enabled scientists to determine the Fertile Crescent as the first region where wild cats were attracted to the agricultural village development occurring there—around 12,000 years ago. And there we have our final answer to the where of our question: Ancient Egypt! Next time you pet your sweet Fluffy, you can enjoy the fact that you’re petting a descendant of ancient Egyptian felines from the Fertile Crescent. And when your regal Fluffy needs his/her next checkup, don’t hesitate to contact your friendly local vets at East Valley Animal Hospital in Mesa, AZ!